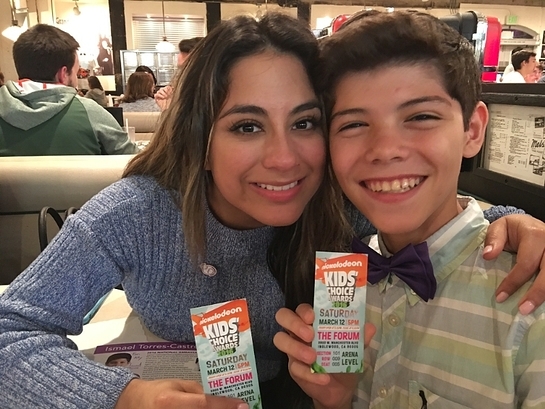 Fifth Harmony singer and March Of Dimes Celebrity Ambassador, Ally Brooke, born prematurely, recently celebrated winning an award at Nickelodeon Kids Choice Awards with her new friend and fellow preemie, 14-year-old Ismael Torres-Castrodad, the March of Dimes 2016 National Ambassador. Ally invited Ismael as her guest to the event, where her group Fifth Harmony won the award as Favorite Music Group. More importantly, these two powerful former preemies have joined forces to raise awareness that premature birth is the #1 killer of babies in the U.S. They’re urging others to support the March of Dimes and its research and other programs to prevent premature birth. The 2016 March for Babies is sponsored nationally by the March of Dimes number one corporate supporter Kmart, Famous Footwear, Macy’s, Cigna, United Airlines, and Mission Pharmacal.